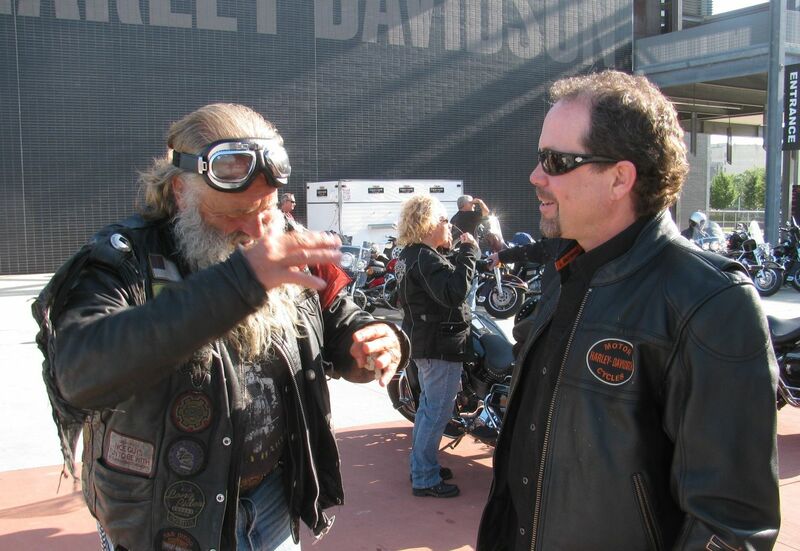 Bill Davidson Leads Riders to Sturgis 70th Bike Rally | Hupy and Abraham, S.C. It's a crisp, clear morning in downtown Milwaukee, Friday, August 6, 2010. 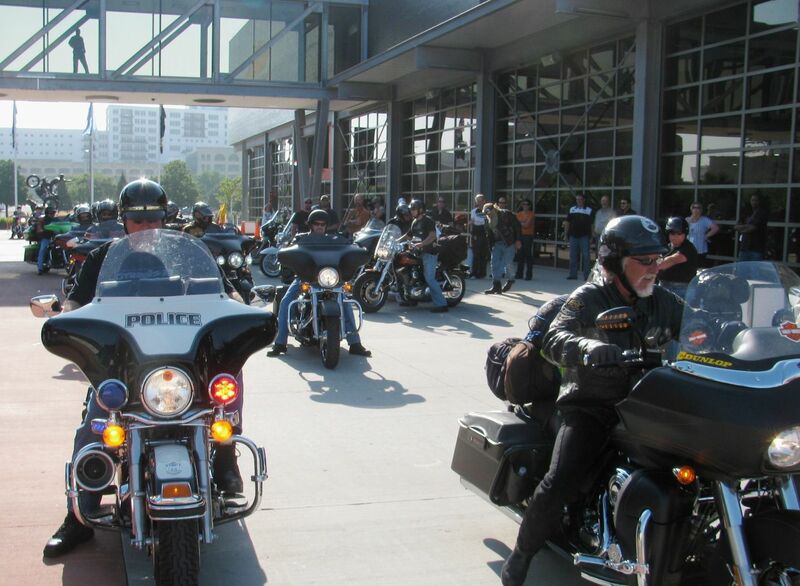 Several dozen riders have assembled at the Harley-Davidson Museum for a pancake breakfast before heading out on a ride to the Black Hills of South Dakota and the 70th Annual Sturgis Bike Rally. This is no race to the Hills. 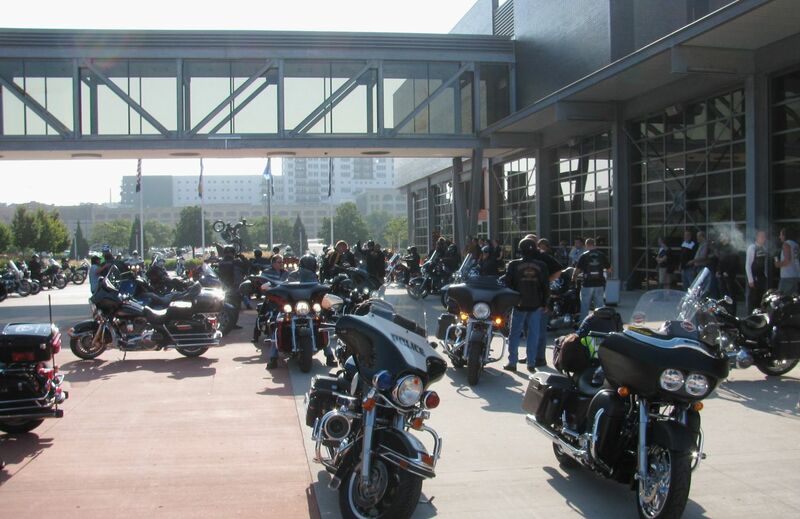 In fact, the group will take its time riding to South Dakota, visiting a number of Harley-Davidson dealerships on the way, traveling through southern Wisconsin, Minnesota and then on to Sturgis. Leading the group is Bill Davidson, son of Willie G. and Nancy Davidson. Nancy will be inducted into the Sturgis Motorcycle Hall of Fame on Wednesday, August 11th, at the Rapid City Convention Center. The Million Mile Man, former Wisconsin senator Dave Zien, showed up in Milwaukee and will ride part of the route with the group before continuing on at his own pace, which will probably mean turning the 865 mile journey into a 1,000 to 1,500 mile ride. He likes to take the long way to Sturgis. Of course, that's a day's ride for him unlike the four day leisurely ride the group is planning on taking. Zien will also be on hand to watch Nancy Davidson's induction into the Sturgis Motorcycle Hall of Fame. He and Hupy and Abraham investigator, Tony "Pan" Sanfelipo, have been inducted into the Sturgis Freedom Fighter Hall of Fame. Sanfelipo is the first person in the country to be so honored, having been inducted in 2002, the year that new section of the museum was opened. Sanfelipo will also be at the breakfast, sitting at the head table with Betsy Lister of Massachusetts (Gypsypashn) who is also being inducted into the Hall of Fame. Hupy and Abraham purchased a table for the breakfast and provided these seats free of charge to ten ABATE of Wisconsin members who will be in Sturgis for the rally. This year's Sturgis Rally is promising to be a memorable occasion for attendees. Great musical line-ups at places like the Buffalo Chip (where else could you find Bob Dylan, Kid Rock and Pee Wee Herman in one venue? ), top custom builders showing off their latest creations, the Michael Lichter's Eternal Combustion Show and Photo Exhibit, The Legends Ride and more. We hope you can join the fun this year and have a safe Sturgis experience.